When it’s time to renew your EA, will you be prepared? 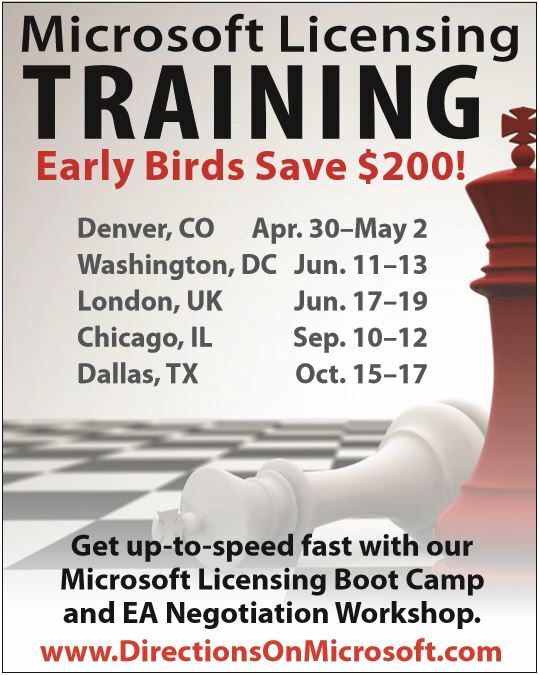 The next Directions on Microsoft (DOM) Licensing Boot Camp is in Denver, CO on April 30 – May 1, 2019. This is the most complete and up-to-date course on Microsoft licensing available. Our independent experts quickly get you up-to-speed on the latest rules and give you the knowledge you need to extract maximum value from your next Microsoft agreement. The next DOM Boot Camp & EA Negotiation Workshop are in Denver, CO on April 30 – May 2, 2019.